Quite a few new games were added on Kitty Bingo as we welcomed 2014, a very nice surprise for all of us enjoying spinning the wheel as much as playing bingo. Below I will try to introduce the ones I liked the most. Space Race is a bit manly slot machine. I haven’t played much such themed games so when I tried this one I was pleasantly surprised with the game feeling and the nice graphics. We are in space, among satellites, comets and our lovely earth. 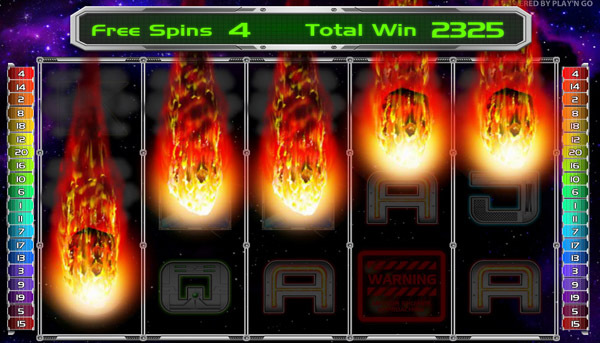 I was lucky enough to win at my third spin, I entered the free spins round were comets were destroying every symbol in my screen and I was winning money. Pretty intense for a girl, but I won’t lie to you, I enjoyed winning £24 with a £1 bet (see screenshot below). Lady Luck Deluxe is a new version of the very popular Lady Luck game found exclusively on Kitty Bingo. This game has a unique feature of symbols not spinning but disappearing and reappearing in your screen, something that I really enjoy if I play for a long time as it is easy to my eyes. What else is also interesting with this deluxe edition is that it offers two bonus rounds plus one free spins round. And on top of that, every player can randomly win from 10 to 100 coins at any given spin. It hasn’t happened to me yet, but I’m spending so much time on this game it will definitely will. This is my favorite new game, don’t be tricked by the fact that I placed it third here. 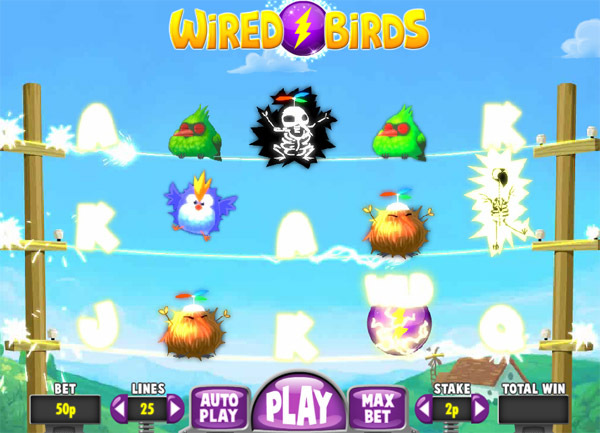 Wired Birds is a game specifically designed for Kitty Bingo, so if you like it as much as I then this is the only place you can play it. Every time you click Play electricity passes through the cables and birds fly away, only to be replaced by new ones that create more winning combinations. You can play this slot machine from as little as 1p and you can win thousands of pounds via the bonus rounds and the free spins feature. I’m Elen, a copywriter, a cat lover, a bingo enthusiast and a hero. I’m writing stuff online since 2005, this is one of most recent blogs about online bingo.